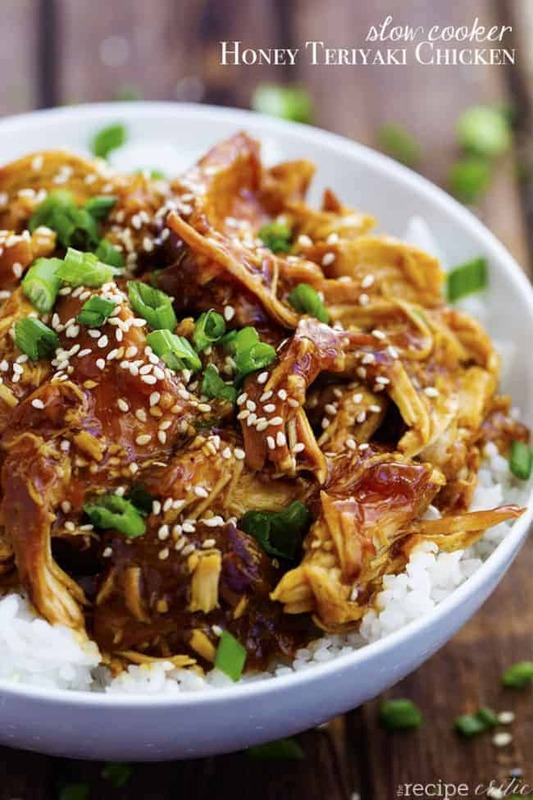 This recipe is so easy to throw into your slow cooker and the honey teriyaki flavor is our of this world! The chicken cooks to perfection and will be one of the best things that you will make! So I am sure that you can imagine how often this Teriyaki Chicken gets made in this house. But I am not complaining because it takes a matter of minutes to throw into the slow cooker and it is amazing. As I was making it the other day, I wondered how much better honey would make the recipe. This simple added ingredient took it to a whole different level. Oh.my.gosh. I think this is the best thing that I have ever made in my slow cooker. 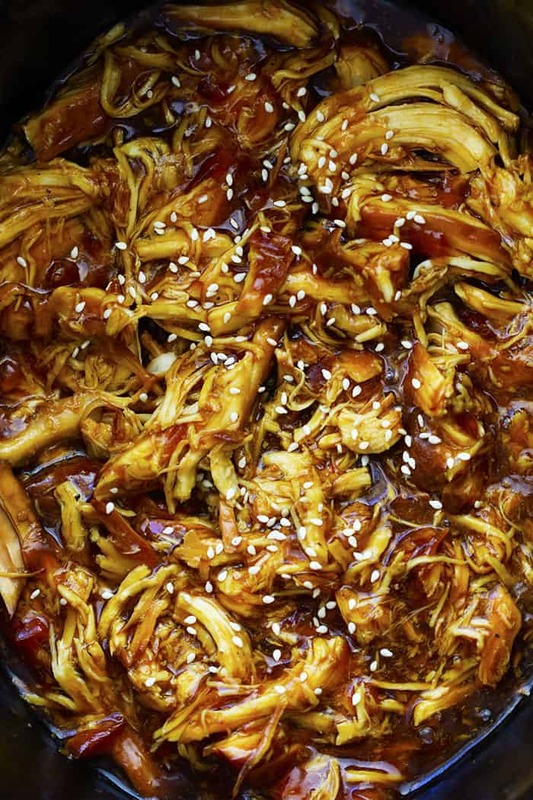 The honey added some sweetness to the teriyaki and made it incredible. 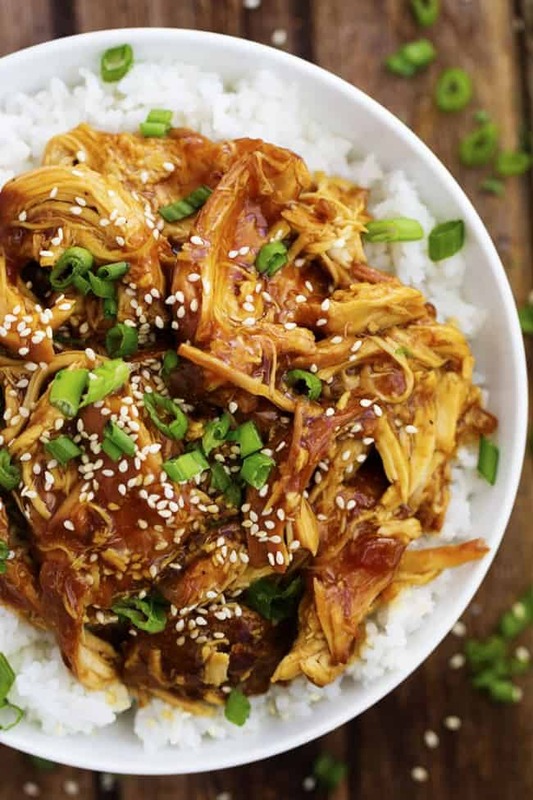 My favorite part of cooking this in the slow cooker is the chicken. It just shreds apart because it is so tender and melts in your mouth. The honey teriyaki glaze is perfect on top of this tender chicken. The flavor is incredible. This meal is picky eater approved and I know it will be a meal that your family will love! You will make it again and again! Such a tasty and easy recipe! My fussy 6 & 7 year old kids loved it. I didn’t have to tweak the recipe at all. The chicken was cooked after 4 hours on low. Thank you! In the recipe for the honey teriyaki chicken what if I want to use more than 4 chicken breasts for a large family, how would the ingredients change on the measuring side? You will want to double the ingredients and double the chicken breasts. That would be the easiest way to make these without confusion. Thank you for all the recipes. Ilove the slow cooker oes. Could you toss in some broccoli at some point in the process? Just tried this recipe and it was so good! Wish you could add the nutritional information like calories, fat, protein, sugar, cholesterol levels to the recipe.